Video is up on the Kahneman Seminar page for Members. 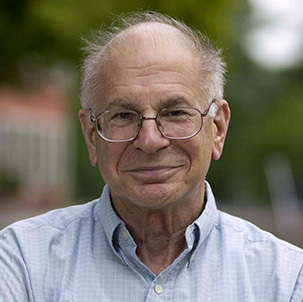 Audio is up on the Kahneman Seminar page, or you can subscribe to our podcast. Before a packed house, Kahneman began with the distinction between what he calls mental “System 1”—fast thinking, intuition—and “System 2”—slow thinking, careful consideration and calculation. System 1 operates on the illusory principle: What you see is all there is. System 2 studies the larger context. System 1 works fast (hence its value) but it is unaware of its own process. Conclusions come to you without any awareness of how they were arrived at. System 2 processes are self-aware, but they are lazy and would prefer to defer to the quick convenience of System 1. System 2 is effortful The self-control it requires can be depleted by fatigue. Research has shown that when you are tired it is much harder to perform a task such as keeping seven digits in mind while solving a mental puzzle, and you are more impulsive (I’ll have some chocolate cake!). You are readier to default to System 1. When faced with a hard question such as, “Should I hire this person?” we convert it to an easier question: “Do I like this person?“ (System 1 is good at predicting likeability.) The suggested answer pops up, we endorse it, and believe it. And we wind up with someone affable and wrong for the job. The needed trick is knowing when to distrust the easy first answer and bear down on serious research and thought. Organizations can manage that trick by requiring certain protocols and checklists that invoke System 2 analysis. Individual professionals (athletes, firefighters, pilots) often use training to make their System 1 intuition extremely expert in acting swiftly on a wider range of signals and options than amateurs can handle. It is a case of System 2 training System 1 to act in restricted circumstances with System 2 thoroughness at System 1 speed. It takes years to do well.